Dispatchers can visit the Order Details page on Carrier Dashboard and add their internal notes to an order. 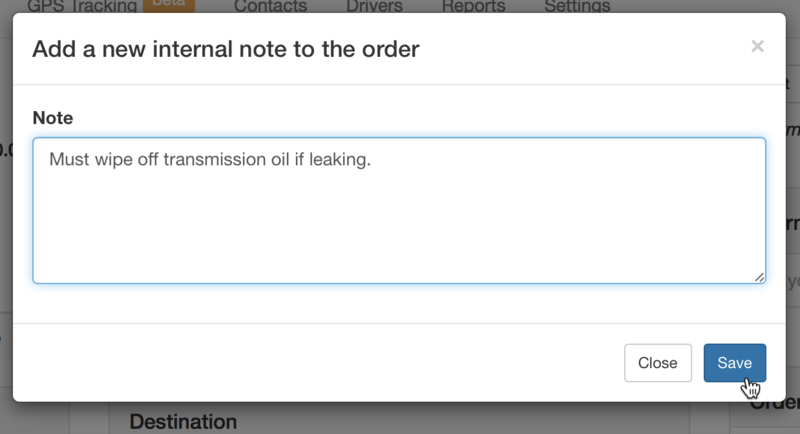 Internal notes are available only on the dashboard. 1. Click to the Load ID on the Orders list. 2. Click to the Add button on the Internal Notes section on the righ panel. 3. Enter your notes into the Note field and click to the Save button. Each internal note has author’s name and published date. Internal notes are sorted by published date: a newer note is on the top.